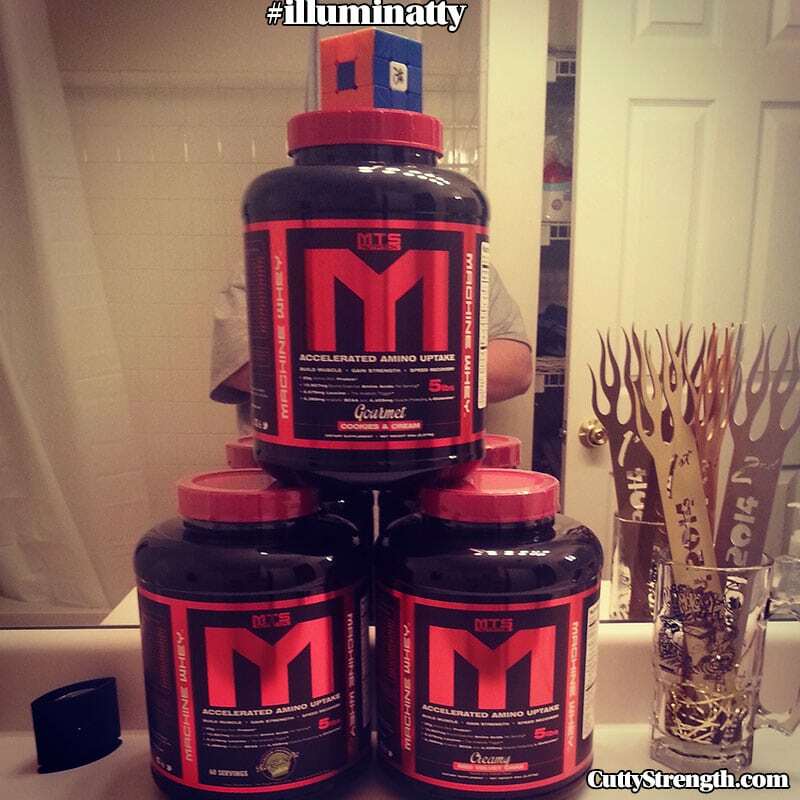 What if you could increase your strength like a powerlifter, but still look like a bodybuilder? We call this powerbuilding, and it’s a fun way to push your body to the limits. This routine won’t get you to a top-level athlete, but it will get you started. Building muscle and strength starts with building a solid foundation — that is what we are going to do. This routine will help you pack on some mass while increasing your big 3 lifts for the platform. Even if you do not have a desire to get on a stage or compete, a strong muscle is big and a big muscle can be strong. Ideally, you will get the most out of this workout if you are able to slow bulk. That is, if you can eat a few hundred extra calories a day — you’ll be able to build the most muscle and strength. This is going to require you logging your food. There’s no other way around this. Otherwise, you risk spending weeks trying to build muscle and can’t because you aren’t eating enough. Or worse, you could gain a lot more fat than you wanted. Do you eat a lot and still struggle to add weight? It’s time to add some flavor and fats to your meals. These will increase the flavor in your foods, won’t be voluminous, and I mean who doesn’t like some extra butter or sour cream? You really need to learn to cook. 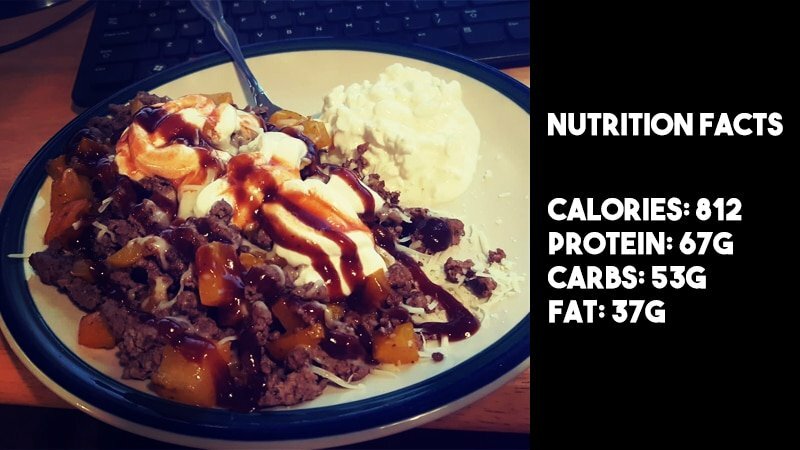 If you refuse to cook but eat a lot of prepared meals, adding a glob of sour cream to some mashed potatoes or using whole milk in your protein shakes are an easy way to boost your nutrition and calories. Doing this is much healthier than running to your local fast food joint to get food. You’ll feel much better, have more energy, and you won’t have all of those upset stomachs. Note: A little bit goes a long way, so be sure to know how many calories you are adding. Keep a set of measuring spoons and cups so you can get an accurate count of what you’re eating. Fats are calorie dense and it’s easy to get an extra 500 calories into your meal. The actual days you train do not matter, the time off does. For example, I go Friday, Sunday, Tuesday. Recovery is number 1 priority, so don’t try to make this a 6 day routine or never take days off. +* – Use these as burnout sets. Pick a weight that you can get 8 and push each set to near failure. Form: I’m not a form Nazi but I will tell you that if you go too heavy you are not going to get as much benefit as if you were doing a lighter weight with better form and stronger contractions. Make sure you are getting quality work in. Progressively overload: Strive to get stronger each time you do an exercise. Make sure to keep a training log and strive to add 5 pounds to the bar each time you go. Hi Cutty, I have just started using this workout plan last week. 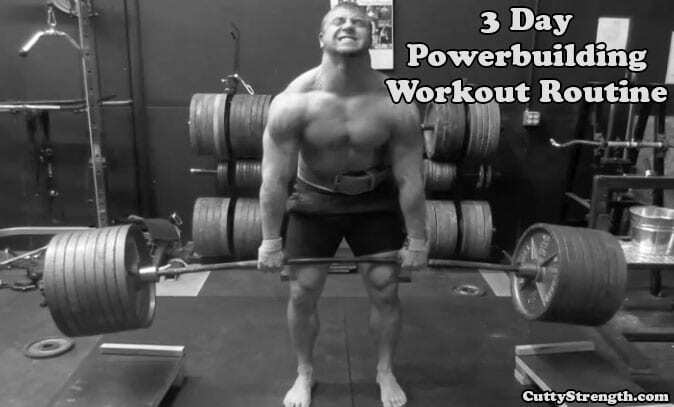 What are your reasons to making the 1 arm DB row to a 5×5 instead of for example a 3×10? If you’re not struggling to get the 5th rep on your set, you are using way too light of a weight. It’s meant for big, heavy dumbbell rows. Not 30 pound rows. Thank you for the kind words and great job on the progress. Pressing has always been a weak point for me and there’s a few options you could try. One, I’d invite you to check out my Build a Bigger Bench article. It’ll give you a lot of information on fixing form and addressing weak points. After you’ve read that and you still are having issues, I would either drop the weight down some (say 90% of your working weight now) and start over. Maybe increase warm ups and try different tempos. Paused bench works well for me, even if I add in one or two paused reps (one in the beginning, one in the end) and really hammer down on form. The smallest rolling of your wrists can ruin your leverage. Thank you for the advice and the reminder about rolling the wrists. I used to pay attention to that more. I will keep it in mind when i do chest day this coming Tuesday. I did bench again before i got ur reply and i did a little better with the same weight I used the previous week. Thank you for your help! I’m glad to hear that. Keep me posted on your progress! Sammy, I highly recommend adding cardio whenever you can. For the main lifts (bench, squat, dead) you list 3 x 8. Should I use same weight for all 3 sets and go for AMAP on last set? You could do the regular pyramid way like most people do, or you can use the same weight every working set. I prefer using the same weight due to being easier than having to load the bar, and you get a completely different feeling in set 3 than you would if you upped the weight every time. I feel it’s easier for me and definitely my favorite way. If you can rip out some extra reps on the AMAP part, that’s definitely good. You don’t have to go until you’re doing bad form just to get a half rep, but put some effort into it and you’ll notice a difference.